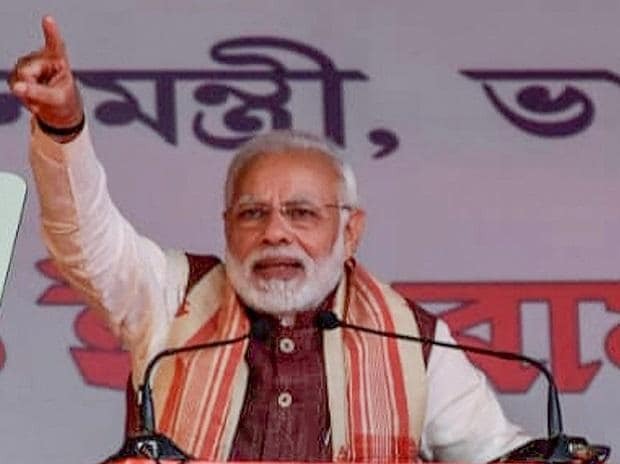 Prime Minister Narendra Modi hit out at the Congress on Saturday, accusing the opposition party of working at the behest of middlemen in the defence sector, instead of running a government for the people, during the UPA rule. Addressing a Bharatiya Janata Party (BJP) rally here, Modi alleged that there was a conspiracy to weaken the country's defence forces during 2004-2014 and the revelation of facts was now "paining" the Congress leaders. "Therefore, they want to remove the chowkidar (watchman) from their path at any cost. Be it the society or factories, thieves always try and conspire to remove the chowkidar to make their task easy. As long as the chowkidar remains, they are unable to operate," he said. "This also pains them (Congress leaders) because their secrecy is now coming to the fore," Modi said, adding that there were reports that a letter of the middleman in the AgustaWestland VVIP chopper scam, Christian Michel, who has recently been brought to India from Dubai, had revealed that they had close ties with top Congress leaders and ministers. The middleman was aware of the movement of files in the Prime Minister's Office and even the details of deliberations of the Cabinet Committee on Defence, he claimed, adding that Michel had information of every movement of files. "Perhaps, middlemen had more information than the prime minister himself," he said. The middleman was also passing on crucial information related to defence, security and weapons procurement abroad, Modi said. "I cannot understand whether the Congress was running a government or the durbar of its own Michel mama," Modi said, while asserting that a thorough probe would be conducted into these matters. "I want to make it clear that the role of people in protecting the interest of middlemen at the cost of the country will thoroughly be probed by agencies and the people of the country. The Centre always takes hard decisions for the country's security," he said, while asking the crowd whether the Congress should be allowed to do what it was doing during the United Progressive Alliance (UPA) rule. Those who had done injustice towards the armed forces should be booked, the prime minister said, adding, "I want to assure you that law will not allow anyone to go scot-free.